This anti-dark spot eye contour cream helps reduce the number and color of all types of dark spots, regardless of their origin (sun, aging, blemishes, etc. ), helps diminish the appearance of dark circles and brightens the eye area. 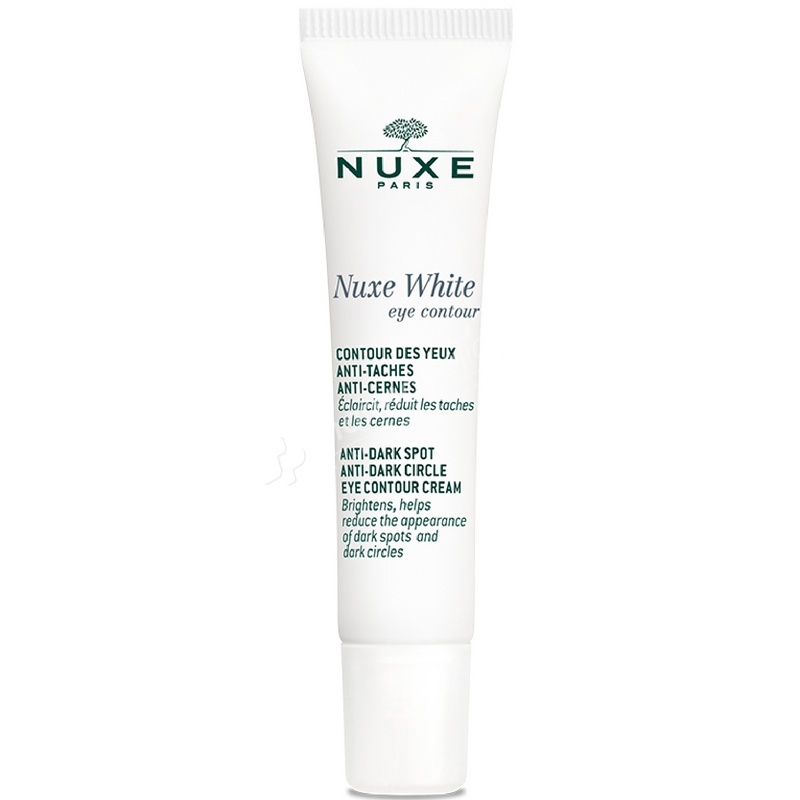 Day after day*, the appearance of areas of shadow is reduced, the appearance of dark circles diminished (-32.8%), the eyes appear brighter and signs of fatigue erased thanks to the NUXE White eye contour cream. Apply this anti-dark spot cream using your fingers in the morning and/or evening to the thoroughly cleansed eye area.